Jet still enjoying the sunshine, but his 6 pack has turned into a beer barrel and he much slower in getting about. He enjoys helping with the gardening during the daytime, but in the evening wants to cuddle up for lots of fuss. OK for a bit but Paul found the drooling over his face a bit too much. 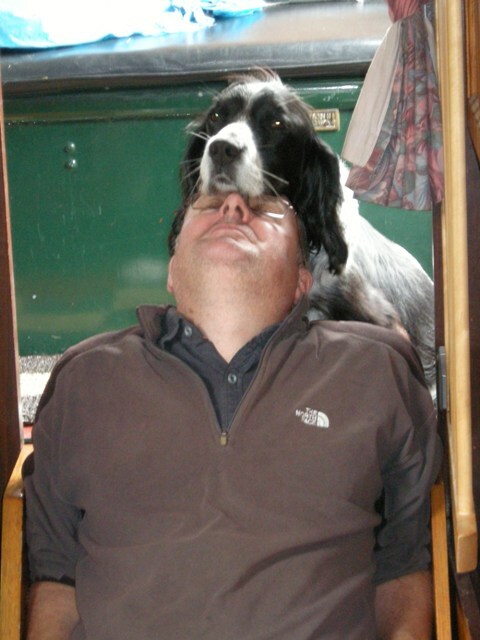 So Jet was persuaded to use Paul’s shoulder instead on which to rest his head. Pip is getting a bit quiet and has gone off her food. 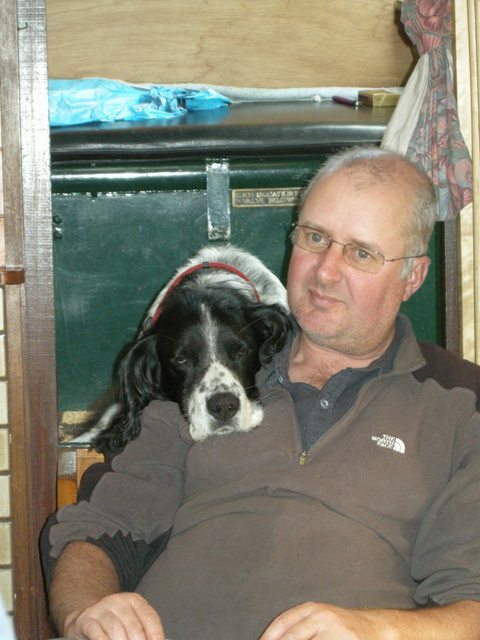 I wonder if she is a bit depressed with all of this, after losing Roly? I know I am. This entry was posted on Saturday, October 18th, 2008 at 7:46 pm and is filed under Uncategorized. You can follow any responses to this entry through the RSS 2.0 feed. You can leave a response, or trackback from your own site.